There are some troubling scenarios possible for Hain Celestial, which has gone from a high flyer to a company announcing accounting problems. How do you value Hain Celestial (HAIN - Get Report) now that it admits to accounting irregularities? What price do you put on a natural and organic company when it also admits that it's having a shortfall? This one's about as tough as they come. Let's start from the primary premise that has helped me through all of my career: "Accounting irregularities equals sell," meaning dump the darned stock right now. So if I owned Hain Celestial, my discipline would say you have to sell it first and ask questions later. It's almost never been bad advice, particularly of late, when you consider the Valeant (VRX situation, to name the obvious accounting scofflaw. You could have sold that stock at $125 ago when you first heard about the irregularities from Andrew Left at Citron, who nailed this one nine ways to Sunday. I never, ever like to say, "This time is different," so I can't tell you, "All right, violate your disciplines, it's down enough, time to switch directions and buy." But I want to be clinical about this because there is a very real company here and a real board of directors, so there's a very good chance there will be a bottom put in and sooner rather than later. So if it trades to 17x prior earnings in the hottest segment of the food group -- three points down from here -- that's potentially fetching. So let's do the deep dive. First, Hain's a real company -- hey, don't laugh, you have to start there. It makes real products, perhaps too many of them, and they are well received among the stores where they are sold, namely all the major supermarkets plus Target (TGT - Get Report) and Walmart (WMT - Get Report) and, of course, Whole Foods (WFM . So, presumption No. 1: We can't just dismiss this company as some sort of a worthless franchise now that it has announced a revenue recognition problem. In other words, it's worth looking into. Second, I believe the company at face value when it says the issue is the timing of revenue recognition, not revenue recognition itself. They are very different. Timing means the company recognized revenue too soon. The sales are there. They were just put in the wrong quarter. That says there's no inflation of sales. No hidden warehouses with product. No overstatement of actual sales. Now, of course, the operative term here isn't just "timing." There is also "trust," and I trust the company not to be dissembling. I know some people feel founder and CEO Irwin Simon plays fast and loose. I am not one of those people. He has built a great business and built it quickly. But he impresses me as someone who needs more organization and he said so himself when he was on Mad Money last. Why give him the benefit of the doubt other than it's been a huge win over time for me and our viewers? Simple: the board. Look at it. Let's start with Adrianne Shapira, who, when she worked at Goldman Sachs, was widely considered to be one of the best retail analysts in the game. I have followed her for years. Her record is beyond reproach. She is on the audit committee and therefore it's a no-nonsense investigation. The audit committee chair, Andrew Heyer, is no slouch either, and while I do not know him as I do Adrianne, he's a member of the executive committee and board of trustees of the University of Pennsylvania. Not someone who will take a dive if there is anything to take a dive over. Why does this matter? Because the audit committee basically takes control of the company when this kind of news comes out and works closely with audit counsel -- not company counsel -- to get mastery of the situation. That's how the SEC says to handle these matters post-Sarbanes-Oxley, and the audit committee has to be sure all emails are preserved and the outside audit counsel -- hired specifically to investigate the issue -- has access to everything so it can communicate with the SEC on the matter. The CEO is at the mercy of the process now, and if the process reveals an email that ordered the channel to be stuffed -- meaning the distributors were told to take more merchandise than they could move -- then Simon's gone. My judgment is that there is no such email and that it was sloppiness and nothing more. But that's not up to the audit committee, it is up to the SEC, and no audit committee or counsel can game the SEC these days. So, to sum up this portion of the analysis: I am taking Hain at face value that it's timing, not inflation or fraud, and that, over time, the company will be fine and can be valued on a price-to-earnings multiple basis. But that leads to part two of the analysis: What multiple do you put on suspect earnings? This is a harder process. Let's outline the variables. Hain announced at the same time as it revealed the accounting fraud that it missed the quarter. For a stock that was selling at 27x earnings going into the incident, we know it was severely overvalued. That's because a lot of money had been piling into Hain post the huge bid for WhiteWave (WWAV , which was a major home run for Action Alerts PLUS. Hain had recently canceled an analyst meeting, causing the stock to bubble up on a belief that it had been contacted by a potential other suitor for WhiteWave. That made sense. General Mills (GIS - Get Report) , which is moving aggressively into natural and organic, having shed Green Giant to B&G Foods (BGS - Get Report) -- talk about a win-win -- was rumored to be interested in WhiteWave but couldn't get to where Danone, the ultimate buyer, agreed to pay. Danone needed to grow its yogurt business and WhiteWave has a good one, even if it is known primarily as a plant-based milk alternative company. Hain's got a terrific Greek yogurt business, so the chatter made a ton of sense. Now the chatter is over. So if you just reduced the takeover premium from when WhiteWave got its bid, you are taking Hain down to $46, where it was the day before Danone's big bid. That's still far above where it is now, but also nine points below where it was. Nine points of fluff taken out. But we know $46 is now unrealistic because of the shortfall and the accounting irregularities. I think the irregularities, if they are just revenue timing, are probably worth about 10 bucks. Which means the stock is still overvalued right here at 18x earnings because of the shortfall. I arrive at that conclusion because back in February when there were rumors of a shortfall, the stock traded at $35. I think that's a more reasonable price to pay given that we have an actual shortfall, but on a $2 historical earnings number, it is still a little aggressive and only for the really aggressive true believers. That's because we don't know how big the shortfall is or what caused it. Let me speculate on what could have caused it. One, we know Whole Foods is struggling and it's a huge customer. So it is possible that Whole Foods didn't take what Hain thought it would and Hain innocently sent too much to the channel. That's an optimal case, which makes the $35 price intriguing. The other scenarios are, to be gentle, less intriguing. So let's go over more secular elements of the fundamental shortfall. Recently Sam Reed came on Mad Money. He's the man who built Treehouse Foods into a private-label powerhouse. Sam told me that he wanted to move aggressively into the private-label natural and organic space. I fear this move could have played a real role in the shortfall and here's why: Hain has historically, in my opinion, underinvested in its brands. It doesn't spend anywhere near what a traditional consumer packaged-goods company spends to maintain share. Therefore it's totally vulnerable to a Treehouse initiative under the label of a Kroger (KR - Get Report) , a Walmart or a Target or a Walgreens (WBA - Get Report) . That's just plain bad, and leads to a lower multiple immediately. I would take a turn off the 17 multiple of the $35 level, notch it to $16, which means $32. Very realistic. However, we also have to temper that negativity with the idea that at $32, with a roughly $3.3 billion valuation, Hain comes alive again as a takeover target. Remember, WhiteWave's going out at about $10 billion, without even including debt, so a $3.3 billion valuation is going to draw takers, especially because it is less than half of the price-to-earnings multiple that WhiteWave went out. However, I am betting that Irwin Simon's not a willing seller and has never been a seller. At age 57, he likely wants to prove that he runs a clean shop and isn't about to give up the ship at these lowered prices vs. the historic range of the stock. Let's throw in a wild card, though, that neither the company nor the audit committee can even ponder: the potential removal of Irwin at the behest of the SEC. One of the lesser-known parts of the government investigation process is that, in order for a company to clear itself, the SEC might order either sanctions against the company -- an admission of fraud -- or, more importantly, the removal of the CEO. Sometimes before a company can put an investigation of this magnitude to an end, the SEC will insist that anyone who had his hands on this kind of revenue recognition has to be fired before it can be resolved, including the CEO who signed the reporting documents -- signed the Q, so to speak. If that's the case, this stock goes to $32, and there is an immediate process to sell it because it really is Simon's company, which gets you back to what might be a mid-$40s takeover price. So, if you are buying the stock at the $32 level, you are betting either the company will get its act together, close a lot of brands, streamline, put money behind its biggest brands -- which hurts the short-term earnings power but gives you ultimately a higher price in a year. Or you are betting on Simon getting fired, via SEC pressure, and then a subsequent bid. Both get you to the lower- to mid-$40s, but the latter's a heck of a lot faster to the punch. Now, let's put it all together: I think the stock's too high and, as you can tell from the eight downgrades, there's no supporter of the darned thing. There's a path out, but it doesn't get you to even the current levels for some time, let alone higher ones. So the stock's not a buy until a lower level that takes into account all of what I have written above. Sure, it can stop right here and you can be my guest and buy. But because of my disciplines -- again, accounting irregularities -- I can't play. My judgment: Wait. Lower prices beckon and it's in the penalty box until we find out more, which we will not know until it actually reports. That's the best I can offer for a very tough -- and very grim -- situation. Editor's Note: This article was originally published on Real Money at 12:24 p.m. on Aug. 16. 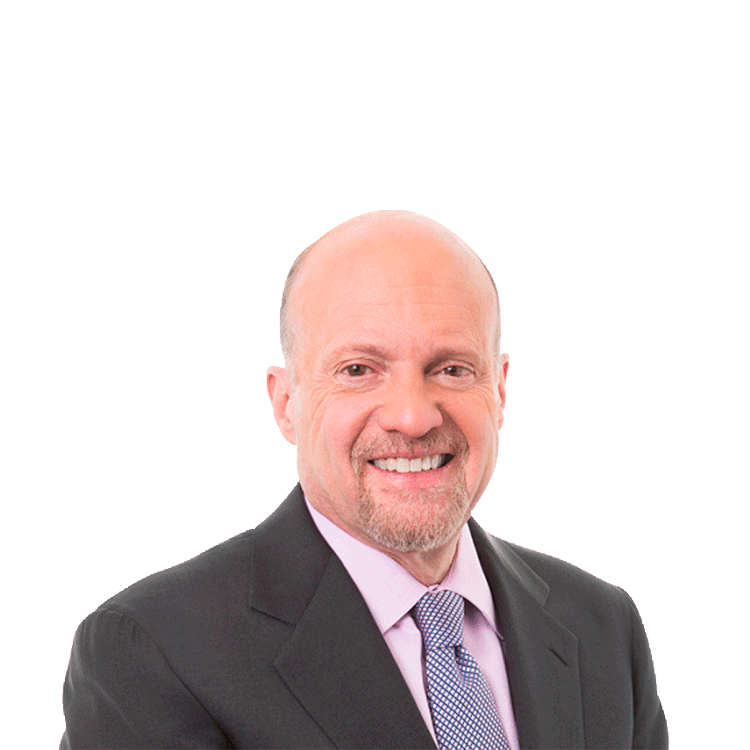 Action Alerts PLUS, which Cramer co-manages as a charitable trust, is long PEP and WBA.